Capt. B.L. (Budd) Picketts was born in 1923 in Akron, Ohio. The oldest of three children, he had a brother Leonard and sister Joan. His father was a successful businessman, owning a wholesale food business. 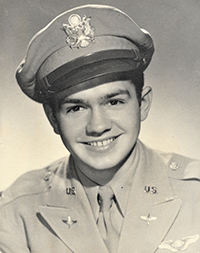 After high school, he attended Akron University until he enlisted in the Army Air Corps in March of 1942 at age eighteen. He reported for training to the Santa Ana Army Air Base in August of 1942. 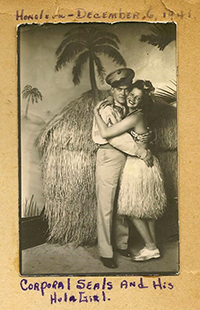 He graduated from Navigation school in Texas in January 1943 and married Neva Jean Brown, who he had met in the Thrifty Drug Store on Hollywood Blvd. They remained together for the rest of his life – more than sixty years. After he got out of the Army Air Force, they moved to Los Angeles and he began working for Norwich Pharmaceutical, where he soon became the West Coast Division Manager. He remained with Norwich for nearly twenty-five years before starting his own company and worked for himself thereafter. His family includes one boy and two girls, six grandchildren, seven great-grandchildren and two great-great-grandchildren. The Journey from High School Senior to Army Air Force Captain and Squadron Lead Navigator in Less than Twenty Months. At age eighteen he enlisted in the Army Air Force in his hometown of Akron, Ohio. For a boy who had never been more than fifty miles from home the real adventure began when he boarded a bus to Chicago, went by train to Los Angeles, California, and then to Santa Ana Army Air Base boot camp, where his basic training began. Passed over for pilot training because of the huge number of men who wanted those jobs, he eventually was sent to bombardier training in Deming, New Mexico. Because he tested with unusually high math skills he was sent to El Paso, Texas, to become a navigator. Upon graduation he went by ship to Algeria, North Africa, and finally by plane to Lecce, Italy. What happens there is really what this book is all about. Born in 1928, Eve Bat Shalom and her family escaped in 1939 on the SS Veendam, one of the last ships accepting refugees going to America. She has 3 children and 6 grandchildren and lives in Boulder Colorado with her beloved dog, Fin, and the quiet presence of the cat, Little Bear. With her ever inquiring mind, she reads vociferously and has recently become deeply interested in Sacred Geometry. 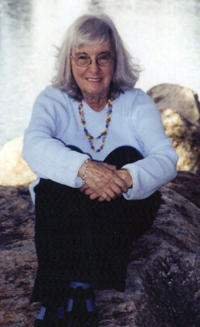 In her 60’s, Eve Bat Shalom began the process of recovering memories of her childhood in Nazi Germany in the 30’s. The release of these memories tapped into her creativity and she began painting. The walls in every room of her house are now covered with these large canvases. 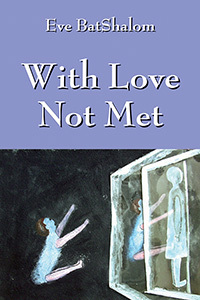 These paintings also provide the illustrations in this book, as well as its companion book, “From This Incredible Dot.” “With Love Not Met,” Eve expands on chronicling her childhood experiences and takes us through to the transformations which have allowed her to become, as she says, “more than a Holocaust survivor” to a deep gratitude to the Universe for giving her Life. 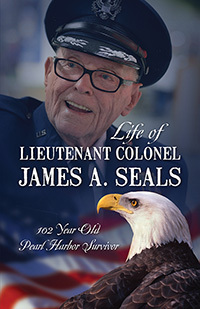 About Colonel Seals: I was born in a log cabin on 5 April 1916 in the Bellview Community, Bledsoe County, Pikeville, TN. I served on numerous bases throughout the world during my military career. I was awarded many decorations and awards during this time. I am 100 years old World War II veteran and a Pearl Harbor Survivor. My name is Lt. Col. James A. Seals. I am 100 years old, World War II Veteran, and Pearl Harbor Survivor. This back cover photo was taken 6 December 1941 the night before the Japanese attacked Hawaii. A friend and I were supposed to go to the USS Pennsylvania that evening, however, we decided to go to Honolulu for dinner, drinks, and watch the hula girls dance. It was very late on 6 December so we decided not to go to the USS Pennsylvania until the next morning. On the beautiful calm, sunny morning of 7 December we were enjoying a walk to the USS Pennsylvania. We were about 200 feet away from the ship- another couple of minutes we would have been on board. 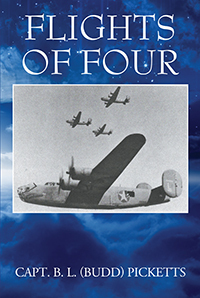 The Japanese warplanes swooped down dropping bombs and firing machine guns. Chaos erupted.